Besides, the “always-did-it” argument doesn’t hold water. Native Americans have been challenging the name for decades. Never mind misguided surveys like this one, which asked Native Americans if the name offended them (why would you even ask someone if a racial slur is OK?). Last week a group of savvy advocates pulled off a pretty elaborate hoax, fictitiously (and thoroughly) exclaiming the team had changed its name to the Washington Redhawks. The fake campaign, which even fooled some journalists, was the latest in a growing movement to have the team change its name. It also reignited a conversation many researchers and scholars have been having for years about the detrimental affect the name has on Native communities, particularly children. This week, High Country News discussed the issue in our review of the documentary More Than a Word, which examines the continued and pervasive use of Native Americans as sports mascots. Growing up in Oklahoma — in a state named for a tribe and that used to be “Indian Territory” — I’ve seen a lot of those mascots over the years, and the nasty ways they manifest intolerance. 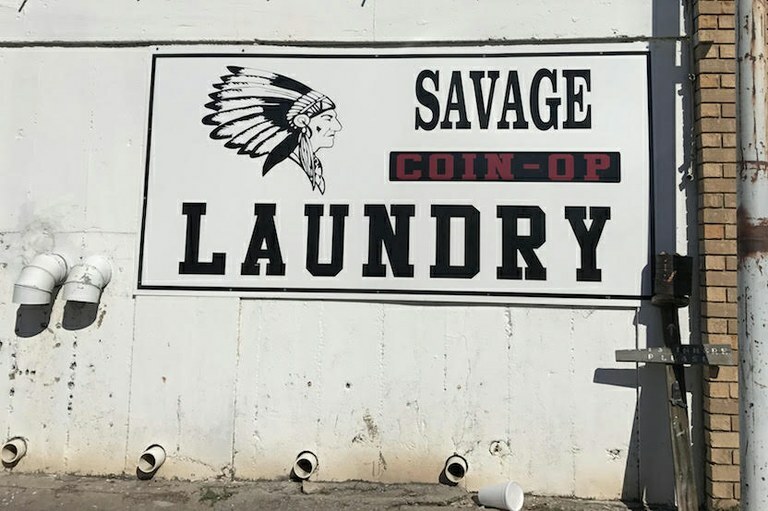 Driving through Wynnewood, Oklahoma, a few months ago with my son, we both marveled at the cartoonish depictions of our race that graced buildings like the Savage Coin-Op Laundry, named after the local high school mascot. My son is 12 now, and I explain to him that’s not how most people see us. Still, as we drove past it, I recognized the shock in his eyes. These things matter — names, images, ideas. We should all know that by now.